Not really excited to discuss this because to make a long story short I scrubbed out hard at this regional. I had a good deck built (really), but between a few misplays and some bad breaks everything went to hell. Best card in the deck was Terraforming hands down. This card easily set up the deck’s basic combos and unbricked my hands. 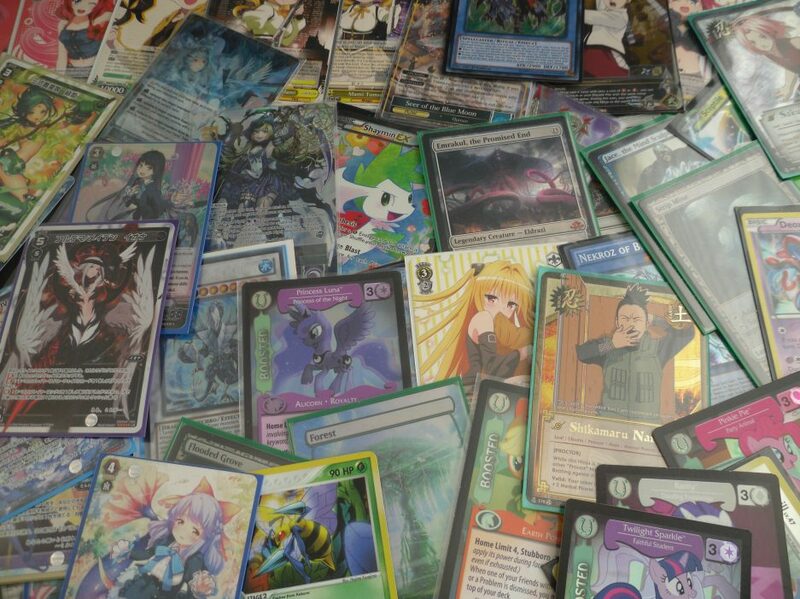 Worst card in the deck was Psy-Framegear Gamma. Despite his impressive price tag I never had a situation where I got to use him as anything, but a 1 for 1 negate (Not to mention the time I banished the Driver off Desires). MVP was obviously Dragon Buster, followed by Diamond Dire and Bagooska. Black Rose came up one. I made Tsukuyomi once to discard 2 dead Gammas. Gamaciel was the best card in my side deck easily. My opponent had max rarity Mermails employing the Nimble Engine for easy access to the Link Monster Mistar Boy. Unfortunately his only answer to ABC Dragon Buster was to fairly try to attack over it with Abyss Megalo. The hightlight of this round was when he used Mind Control to take my Decode Talker (while I had Decode + Buster) and then played Dark Hole. He only realized afterwards how neg this play was. Game 1 he smacked me with the power of Wavering Eyes when I tried to Twin Twister his scales. I lost from that point (which was sadly 1 minute into his first turn). Game 2 he used Winter Cherries to banish all of my Buster Dragons, but I had Anti-Spell so I still won easily. Game 3 I made Black Rose to wipe out his board and he never recovered. Yup I was pretty happy before I realized that my opponent was on a rogue deck THAT HAPPENS TO HAVE A GREAT MATCH UP AGAINST ME. Game 1 I win off Anti-Spell and the luck that he never had a Cyber to fuse with my Buster. Game 2 one of the most tilting things to happen me occurred. His board was Cyber Dragon Infinity and a regular Cyber Dragon with a full Graveyard. My hand was Raigeki, Systerm Down and the last ABC piece needed for Buster. I baited the Infinity with Raigeki, but when I play System Down he chains Artifact Lancea which was the last card in his hand. Unable to out his board or make Buster I lose. Game 3 I brick and end on Bagooska pass. He summons Cyber Dragon fuses with my Bagooska and then beats me to death with it. Game 1 I played through his True King of All Calamities and beat him. Game 2 I play through his board of Decode, Ultimate Conductor Tyranno, and Laggia, but I make a crucial misplay. I had 2 Dragon Busters out (one set by the Conductor). His hand has 2 cards. He played Dragonic Diagram and I banish it with Buster. He then summons another Ultimate Conductor Tyranno and runs over my Buster for game…. We played Game 3 in time. He played through Ghost Ogre and Gamma to assemble a huge board whereas I failed to do anything so I lost after he used Laggia to negate my Buster Dragon. My opponent bricked game 1 and literally did nothing to stop me from attacking him/accrue advantage. Game 2 I had the Kaijus for his Master Peace and I won way too easily. Not sure what to say here. He obliterated me (figuratively not literally) game 1. Game 2 I Kaiju’d his Master Peace and won. Game 3 he broke my board and killed me. Dude showed me some cards from Precious Memories (which seems to be another Weiss Schwarz style game), so that was cool I guess. Well once again that Psy-Framegear Gamma was a mistake. I bricked with it in my hand 5 times and not once did the seemingly obvious scenario of Gamma negate handtrap make Omega during my turn come up. The new format post-November 6th Banlist is actually really diverse in terms of what decks can be piloted. I would honestly say my only “problem” with Yugioh is that Ash Blossom is $70 and is without a doubt a staple in the format. That being said Ash didn’t actually feel that unfair. I don’t know maybe I’m just losing it, but Ghost Ogre was more back-breaking when it came up. So credit where its due. Konami fixed the tier 1 format and it feels little bit like 2014 (the golden age of deck diversity). And in case it wasn’t obvious I didn’t buy the Ash Blossoms, Ghost Ogres, System Downs or Twin Twisters. I want to give thanks to friends in our little Yugioh circle for loaning them to me and for giving me encouragement throughout the event.